The west end of the building, sometimes referred to as Graiseley Old Cottage. Listing: late C15 with early C18 and later alterations. Brick with some plaster and internal timber-framed structure. One of the oldest buildings in the borough with many surviving C15 and C16 features. Pevsner: this ancient, important and interesting building has achieved the distinction of being "not in Pevsner". While Homer nods, Pevsner notes the Bushbury swimming baths. Frank Mason managed two volumes of Wolverhampton's history but not one mention of Graseley Old Hall. Chris Upton's History of Wolverhampton does make reference to it: pp. 18 and 20. Gerald Mander, in his History of Wolverhampton, pompously refers to "Graseley - (I prefer the correct spelling)" but, in that book, that is about all this genuine building gets from a resident of Wightwick Manor. However his notes on the Hall were printed in F. L. Steward, A History of the Royal Wolverhampton School 1850 - 1950, Steens (Wolverhampton), 1950, at pp. 80 - 81, wherein he says much about the owners and little about the building. The central part - the east end runs off to the left. It was only in 1957 that anyone seems to have noticed the building as being of historic interest. In that year Enoch Powell, the local MP, drew it to the attention of the appropriate government department, and it was listed. Mander says: Graseley was "moated, a precaution against cattle-lifters, and there are still indications of this at Graseley. The present house was built at the end of the 15th century, and is the oldest building in Wolverhampton after St.Peter's Church." "The interior of the house, after the careful restoration by Mr. George Green, preserves much of its Tudor original, the ceilings and walls having been kept in position. In one place a specimen is preserved of the old wattle, and the moulded ceiling is original. The exterior timberwork was replaced in brick about the time of Queen Anne, probably by John Jesson, formerly of West Bromwich, who dies at Graseley in 1712." The listing is probably accurate but the house could do with a much more thorough survey in order to sort out its history. Part of the house may in fact predate the late 15th century. The outside now gives the appearance of a range of brick cottages, making a varied and picturesque scene. There is nothing left of any external timbering but some of the roof lines betray the early origins of the interior. The interior still has readily visible many fine pieces of timber work, some with remarkable medieval paintings on them. The earliest roof space reveals purlins made out of old ship's timbers. Buildings are often said to be built of ship's timbers and this is sometimes explained as a refrence to the quality of the timber, not its origins. The use of ship's timber is often quoted between here and the Severn but this is the only clear example of the timber from a ship actually being used. How "careful" the restoration of Mr. George Green was is not clear. At the time he was the Borough Surveyor, a position which may have given him access to the old wood from St. Peter's Church which he used around the house. This house has been around for more than 500 years and has grown and changed over that time. It is the effect of that which Edward Ould claimed to be recapturing at Wightwick Manor in the 1890s. The result there is, of course, nothing like the real thing. Whether or not this is the oldest building in Wolverhampton, other than St. Peter's, rather depends on how you define "building" and "Wolverhampton". 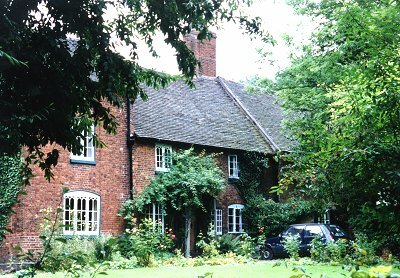 It is very probably the oldest residential building within the current boundaries of the Wolverhampton City Council but in 2001 new research indicated that Merridale Old Farm has even earlier origins. 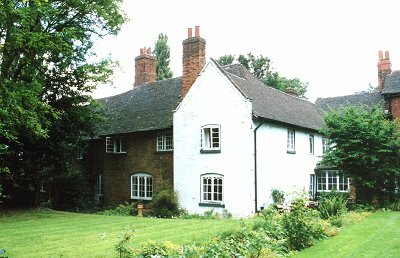 Graseley Old Hall is now a privately owned residence and is not normally open to the public. But rooms can also be made available for meetings and similar functions. Contact Susan Williams at the Old Hall.